If you have decided to design a terrace garden, you must have collected the suitable containers, potting mix, manure, etc. It is now time to decide what to plant on your terrace, balcony or rooftop garden. You may start with a few plants like chillies, tomatoes, cucumbers, coriander, mint, etc. These plants are easier to grow and need little care. The chili plant will go for 3-4 years and The mint plant will go forever, while chili plant for 3-4 years. 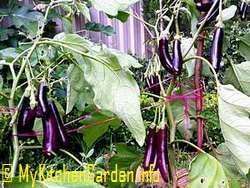 You can succeed in growing a variety of vegetables, fruits, herbs and flowers in your rooftop garden, if you devote at least half an hour in a day regularly to your garden ( making a terrace garden). Be patient, I assure, you will be delighted when you see a flower or something edible start growing in your balcony or terrace! Continue reading below on what plants can you grow on a terrace garden? Start your rooftop garden with a small pot and single vegetable, if you are new to gardening and than gradually increase the number of pots. I stared with one pot and over the years, I have now 250+ pots growing all sorts of vegetables, herbs and fruits. Don't be surprised to known that I am growing fruits like guava, blueberries, strawberries, mandarins (oranges), lemons/limes, etc in containers, which taste delicious, and also safe from chemicals. 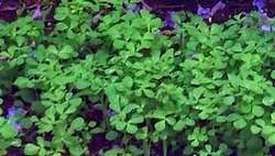 You can grow herbs like coriander, mint, turmeric (haldi), fenugreek (methi), ginger and garlic in your terrace garden as i am growing. To start with fill the pots with potting mix and add composted cow manure. If you have enough space, you can make your own compost, place the compost bin in a corner of the terrace. This way you will be using all the kitchen scrapes for making the most nutritional mix for the pots (making compost at home). Do not try to start with seeds. 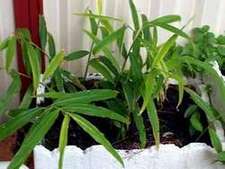 Buy seedlings from nursery and plant them. This way you will save at least 1 month, besides saving yourself from frustration because of failure in growing seedlings (growing vegetables from seeds). Put the pots in appropriate locations, the sun-loving plants in sun and the shade plants in shade. Most vegetables thrive in sun, but there are a few which grown shade. You may plant a few seasonal plants and a few perennial plants. Put trellises on climbers such as cucumbers, bottle gourd, bitter melons, jasmine plants, etc. You can also train these vines to climb on strings. Water the vegetable plants deeply daily, may be twice in summers. Put a 3-4 inch layer of organic mulch such as sugarcane mulch on the soil. This will keep the moisture inside the soil and also prevent the weeds. Add some water crystals in the soil while planting or spread them on the surface. Plant drought tolerant plants to reduce the frequency of watering. 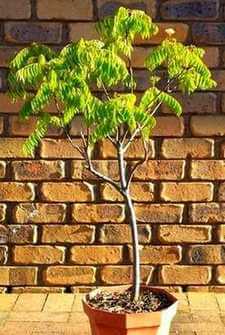 Do not grow plants that have deep and aggressive root systems. Fertilizer The vegetable plants need frequent feeding. I feed with liquid fertilizer, high in potassium and low in nitrogen every 10 days. High nitrogen will produce excessive leafy growth, while potassium will encourage flowers and fruits. You may buy a general purpose fertilizer for vegetables and flowers, a slow release fertilizer or a liquid fertilizer. Check plants regularly for pests. use a garlic spray or neem spray every fortnight to keep them pest and disease free. Prune plants to keep them in good shape and in healthy growth. Remove the dead and infected leaves. keep the soil clean of fallen leaves, etc. Keeping garlic and rosemary plants in your terrace garden will keep the bugs and insects away from the nearby plants. Blueberries and strawberries grow well in pots. Plant dwarf varieties of guavas, lemons, limes and oranges. Most of the above flowering plants need less care, but anthurium, coleus, crotons and poinsettias need extra care. Flowers like marigold, lavender and nasturtiums will attract bees in your garden, which will help pollinate vegetable and fruit flowers, resulting in fruits. Jasmine is a climber, which can be planted near a wall or trained to go on trellis. Cactus and succulents require low care and need less water. 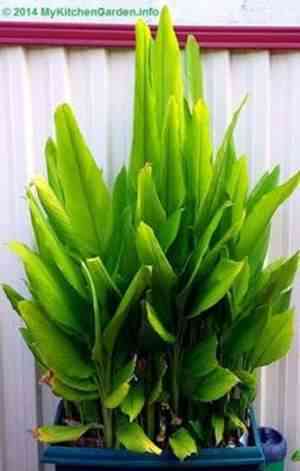 A large varieties of these plants are available. They can be grown from cuttings also. Keeping a lavender plant in your rooftop garden will deter the bugs and insects from the nearby plants. Bougainvillea, Sadabahar, Geranium and Begonia will beautify your rooftop flower garden year round with colorful flowers.